Today was my first Memorial Day in 50 years without my Dad, and I went into the weekend feeling down and rather lost. But over the course of the weekend, I found myself watching war movies on TV as I had done with my Dad for as long as I can remember. And I started feeling a little less down. As a kid, watching war movies was just something I did with my Dad, especially on Memorial Day weekend. We’d watch Midway and Sergeant York and anything else we could find. Early on, I didn’t really understand what Dad saw in the likes of The Bridge On the River Kwai, but I did understand that the good guys won and the bad guys lost, and even though some good guys also died, Dad was always content when the movie ended. The older I got, though, the more I realized there was far more going on: My dad understood the importance of duty, in part because he had served in the Navy. My dad understood the sacrifice that was made in each and every war engaged to maintain our freedoms. And my dad understood that the people in the movies represented all the people who have put their lives on the line for our freedoms. Without my dad saying a single word, I came to understand these truths, too. Dad loved all the freedoms we have. His favorite was the right to bear arms. He loved to hold guns, shoot guns, talk about guns, and buy and sell guns. And he loved to carry a gun as our freedoms allow. 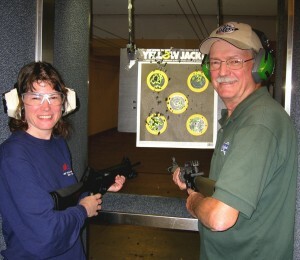 Dad and me at the Silver Bullet Arms indoor shooting range. Dad also loved being in the Navy way back when. 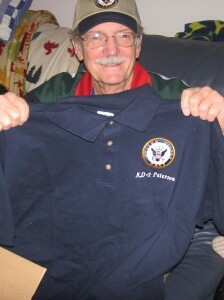 In fact, as Dad got older, he wore more and more clothes with Navy insignias on it. This was one Mark got him. Dad with his RD2 Navy shirt (radarman second class). My dad got more sentimental about all things American as he got older. 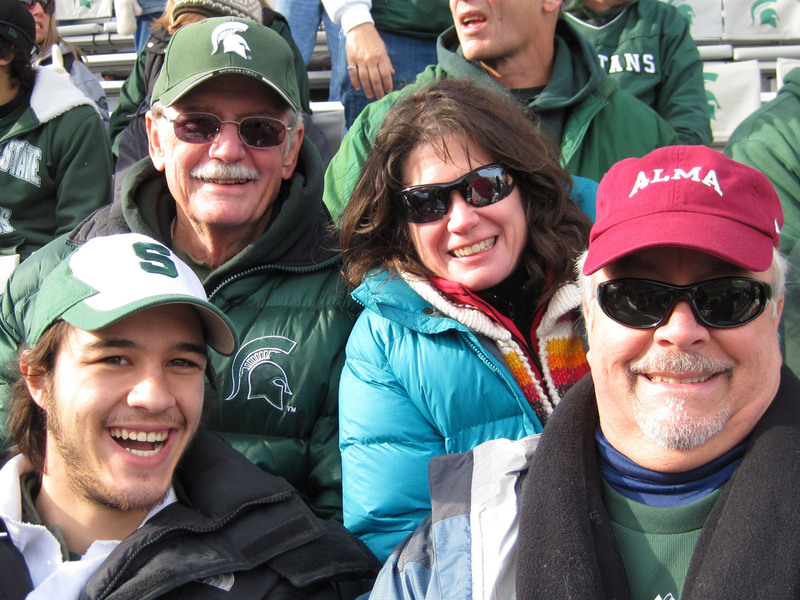 In 2011, we went to a football game at Spartan Stadium, and the very sight of a gigantic American flag brought tears to his eyes. The Navy jets flying over made him cry. Hearing “Anchors Aweigh” turned him into a teary puddle. His pride overfloweth. Dad with me, Mark and Arthur. This Memorial Day, as the bridge blew up over the River Kwai on TV again, I thanked my dad for sharing all that movie time with me, and for letting the meaning of our Memorial Days together sink in over 50 years. Mark and I will keep the tradition going. I'm the stepmother of four great kids, wife of an obsessed fishermen, author, caretaker of numerous spoiled animals, photographer and outdoor nut. I manage a grants program by day and spend the rest of my time, writing, taking photographs and befriending wildlife.